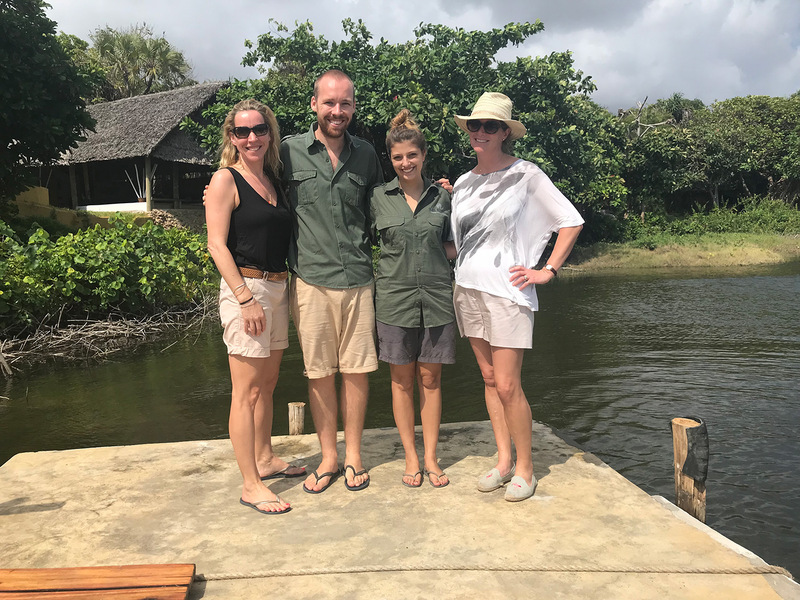 During a rich and intense 10-day Fam Trip to Tanzania, SWM Managing Director, Anita, and I visited the four properties of our exceptional and distinguished client, Selous Safari Company: Ras Kutani, Siwandu, Jongomero & Fanjove island. The sweeping views of the glittering southern Tanzanian coast took one’s breath away with its beauty as we approached our destination. On arrival in Dar we visited the SSC office, an airy, light building in a quiet enclave of the city. Having worked closely with SSC for a year now it was such a pleasure to meet the team and to see first-hand the slick and professional ‘engine room’ of the SSC operation. 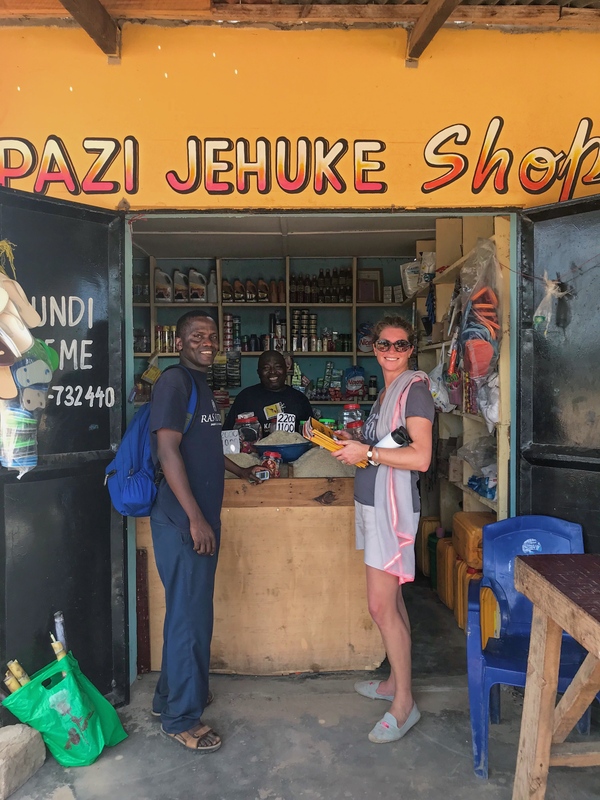 Reservations, HR and Managers – a close knit group with clear pride in this impressive 30-year old company – which, at its inception in 1988, was at the very forefront of opening up Southern Tanzania to the discerning traveller, under the expert leadership of founder, Charles Dobie. First stop, Ras Kutani: an utter oasis of serenity and style - the perfect place in which to recuperate and relax after an international flight, only an hour and a half by road from Dar (or a short hop by plane). 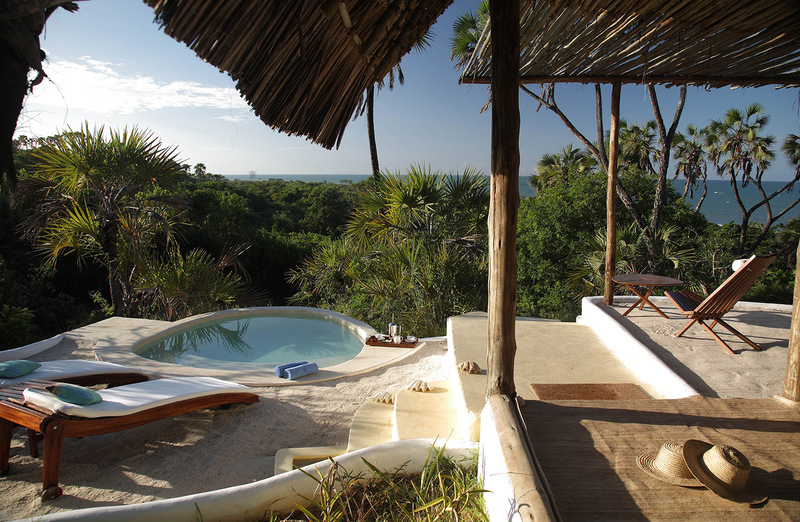 The facilities and accommodation at Ras Kutani are eminently tasteful and comfortable, designed in keeping with the local Swahili style, with the materials sustainably sourced. My room was a spacious suite, with private terrace and plunge pool, positioned high up in the forest canopy. The wind in the trees, ocean waves and the chattering of the vervet monkeys formed a memorable orchestra by which to wake, and the view from the bed, of monkeys chasing each other, leaping from tree to tree, reminded me uncannily of my three boys back home! However, even in this oasis, do not be fooled into thinking you should just soak up the sun and the views by the pool or the ocean, on a comfortable lounger with nothing to do but to sip a perfectly-made cocktail through a bamboo straw*, for indeed, even in this haven of tranquility, there is much to see and do. Granted, fairly near the top of the list should be a visit to Aisha, RK’s talented spa therapist, who gives exceptional massages. But life at RK does not need to be all about pure pampering... 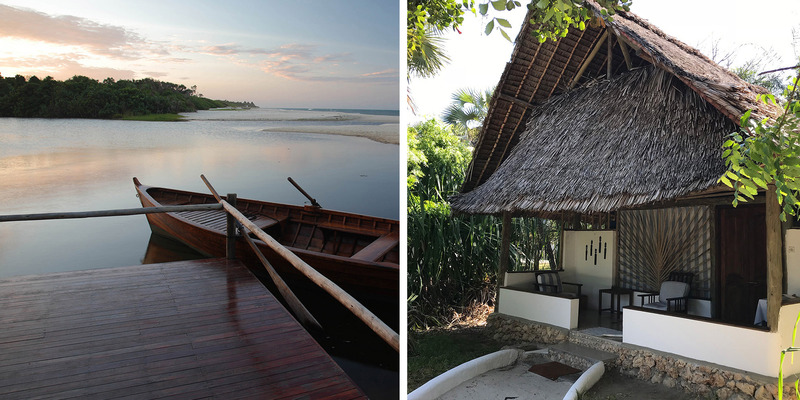 Nature walks around the lagoon, snorkelling (including exploring an old ship-wreck), kayaking, bird-watching, fishing and a cultural visit are all options for guests wanting to make the most of their time at RK. Camp Managers Simon and Guilia are a delightful couple who clearly take pleasure in ensuring each and every guest has their needs met. The food at Ras Kutani is healthy and delicious, centring on freshly caught fish, complemented by delightful combinations of light salsas or delicate vegetables. The tempting puddings are equally heavenly (if perhaps less ‘healthy’). But what is beach stay without a little indulgence?! Simon suggested we might like to do a walk to the local village and we were unprepared for quite what an enlightening and enjoyable experience that would be. Setting off before the heat of the day got fully underway, chaperoned by our guide John, we walked several miles through tropical farmland towards Kichangani where we would have our eyes and ears opened to a busy, rural community so very different to our own. 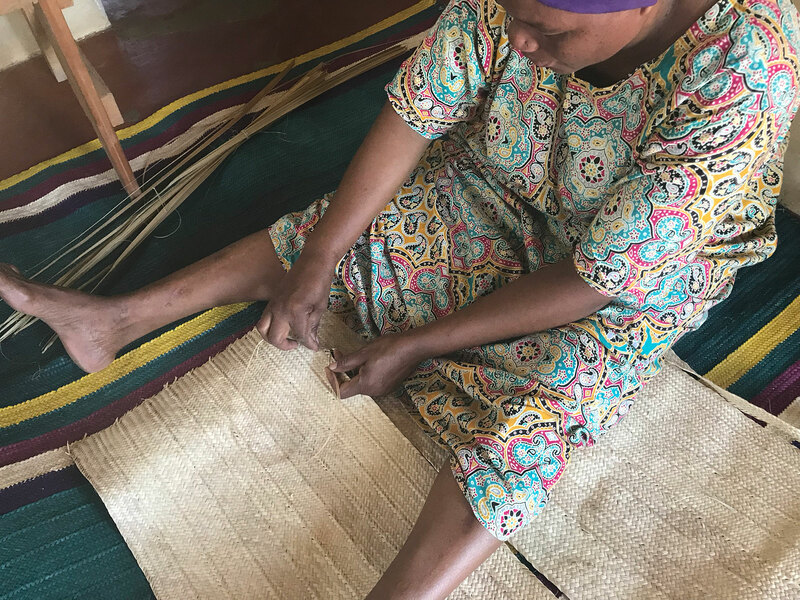 We meandered down the village streets, stopping at market stalls and meeting villagers. 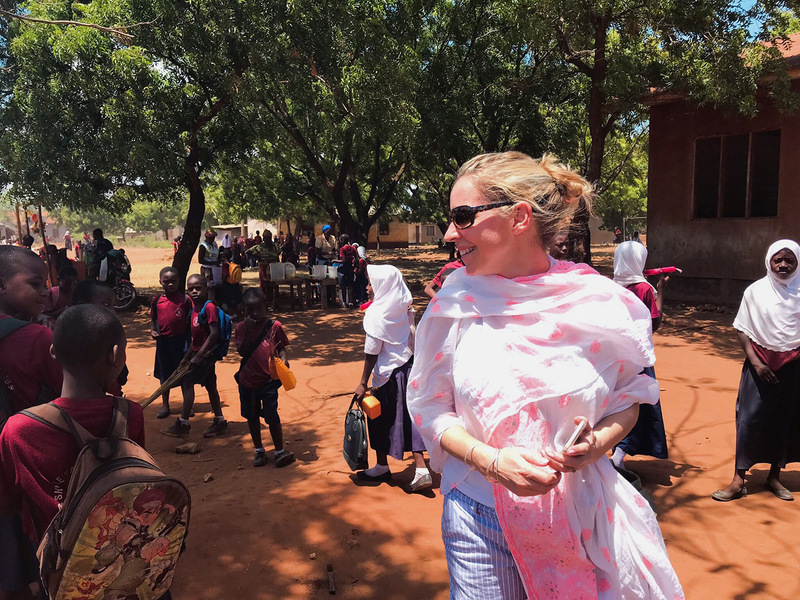 Welcomed by all we met, from the school children, to the village Chairman, to Mama Salama (responsible for all the mats at SSC properties) to teachers, we were impressed by a community still wonderfully unjaded by over-exposure to tourists. SSC has always prioritised playing an active and positive role in society at large, and currently this includes building a nursery school in Kichangani, which RK is supporting with both funds and pro bono project management. We stopped in to check on progress and a blog will follow soon covering SSC’s positive impact and sustainable business practices in more detail. When the day for departure came, the wrench of leaving such a peaceful oasis was mitigated by the excitement that we were about visit to one of the largest and last remaining great wilderness areas on the planet: The Selous Game Reserve.